In January 2010, President Ellen Johnson Sirleaf issued Executive Order No. 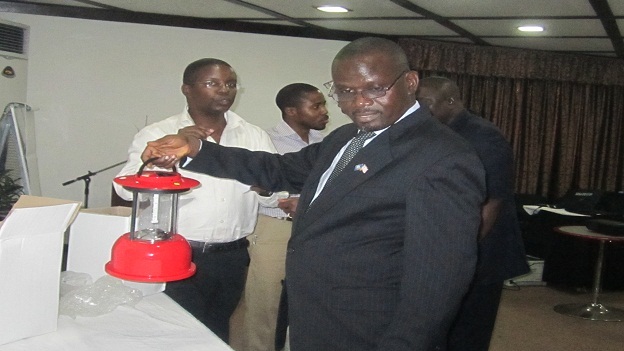 23 establishing Liberia’s Rural and Renewable Energy Agency (RREA), and a Rural Energy Fund (REFUND), to bring modern energy services to Liberia’s rural areas. Finally in July 2015, an act was passed establishing the Rural and Renewable Agency (RREA). The World Bank and the GOL signed a 2 million USD grant agreement on march 15, 2011 for the implementation of two rural energy projects by the RREA in Bong and Lofa counties. (Yandohun Micro hydro in Lofa and solar project in Gbarnga and surrounding towns and villages). The EU has approved a grant of 1.5 million Euros for the RREA to develop a comprehensive rural energy master plan and implement a solar project in Zorzor and its surrounding villages and towns. The contract negotiation is nearing completion. The RREA and the Department of Energy of the Ministry of Lands, Mines and Energy are jointly implementing a rural energy needs assessment project in five southeastern counties (Grand Gedeh, River Gee, Sinoe, Grand Kru and Maryland). The Agency has received an assortment of 200 pieces of solar panels donated by the University of Arizona for education and outreach purposes. The RREA is in discussion with the Ministry of Education for deployment of some of the donated solar panels at 15 rural public schools and is in the process of installing some at its headquarters in order to practice what it preaches. The United States Aid for International Development (USAID), through the Liberian Energy Sector Support program (LESSP) is currently providing training support for the Agency’s staff. The Government of Norway, through its institutional cooperation with the Ministry of Lands, Mines and Energy is also providing some capacity building support to the RREA. The RREA in July 2010 signed a US$50,000 Project Cooperation Agreement with the UNDP in support of energy needs assessments in two of five counties targeted by the Southeastern Energy Needs Assessment Project. This Project, which is jointly funded by the Government of Liberia and UNDP, covers Grand Gedeh, River Gee, Sinoe, Grand Kru, and Maryland Counties, and is being implemented by the RREA and the Department of Energy of the Ministry of Lands, Mines and Energy.